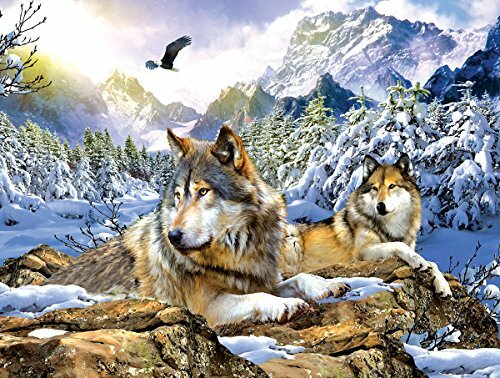 If you are here looking for wolf jigsaw puzzles than you are one of the many jigsaw puzzlers who simply love doing jigsaw puzzles of wolves. 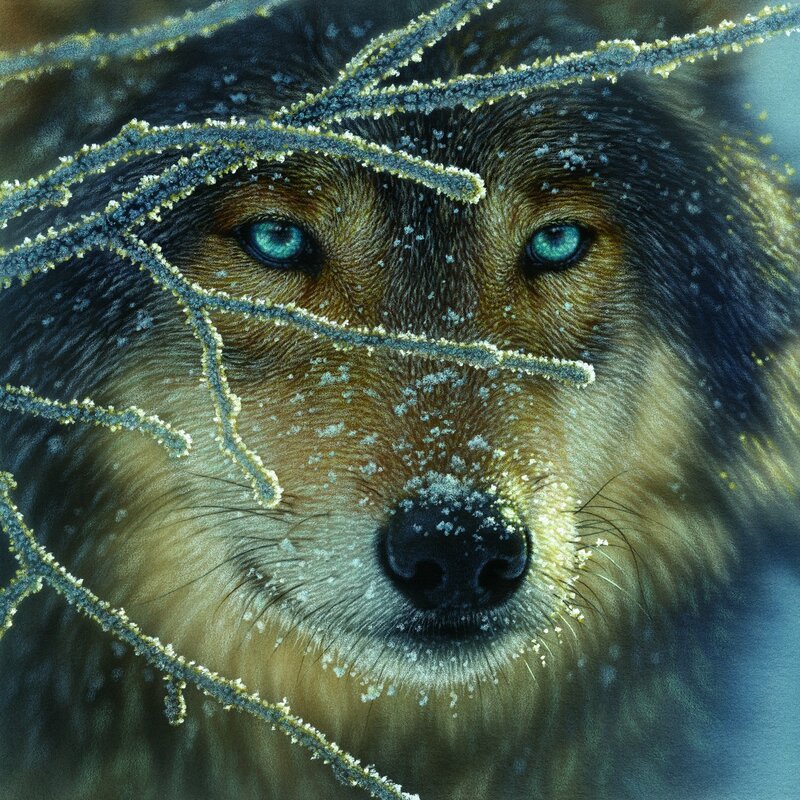 Wolves are legendary because of the way they communicate with each other with unforgettable spine-tingling howls. 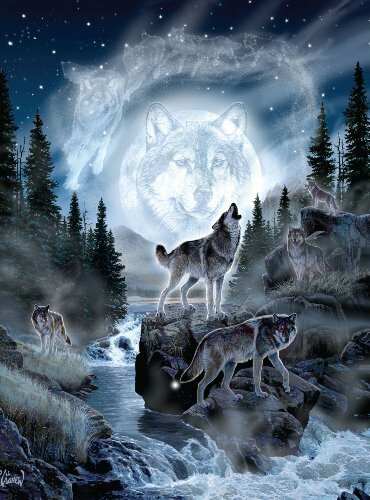 A wolf howls for a number of different reasons. 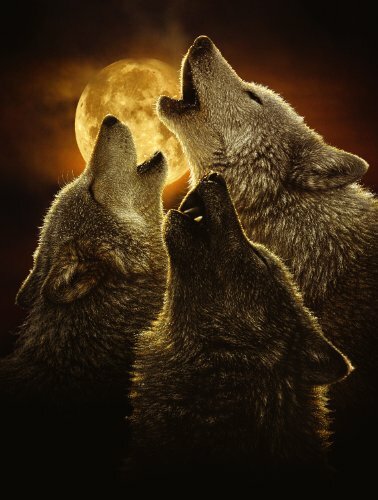 Sometimes a male lone wolf will howl to attract the attention of his pack and other times their howls are confrontational and sometimes just like dogs they will start to howl just because of another nearby wolf. 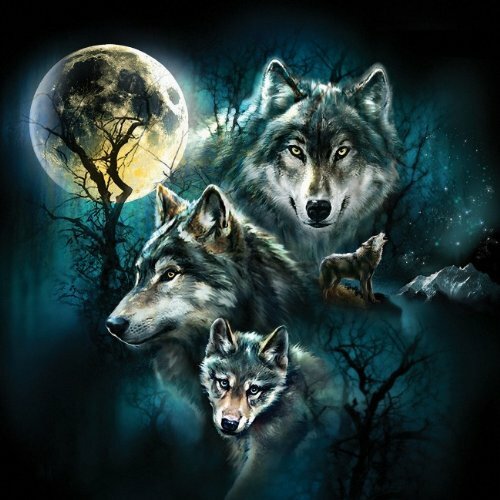 We all have heard of the eerie communal howls of a pack of wolves, this just happens to be there way of sending territorial messages from one wolf pack to another wolf pack. 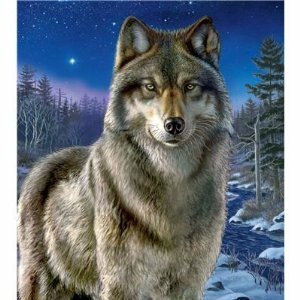 Needless to say if you are here you must love wolves or at least fond interest in them. 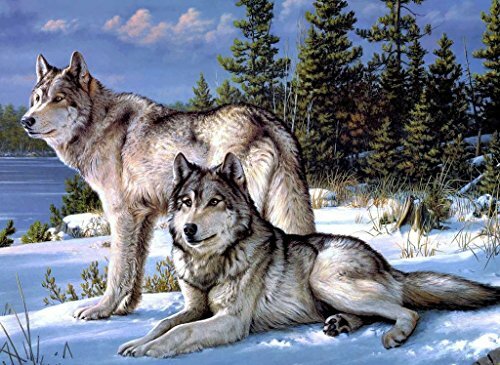 I myself love wolves and have lived many years on property where wolves were an everyday appearance. 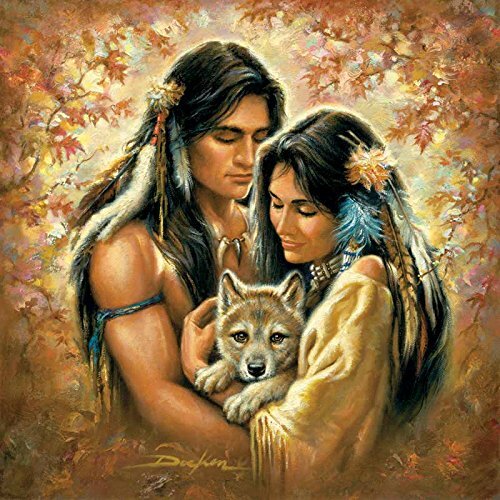 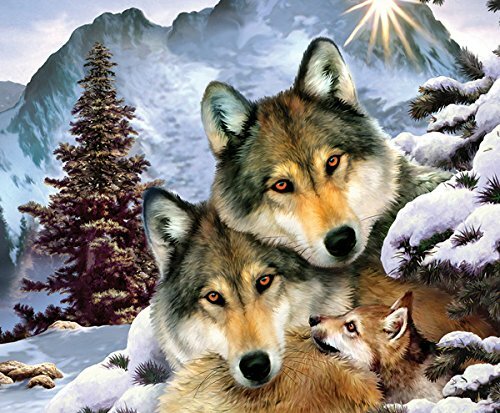 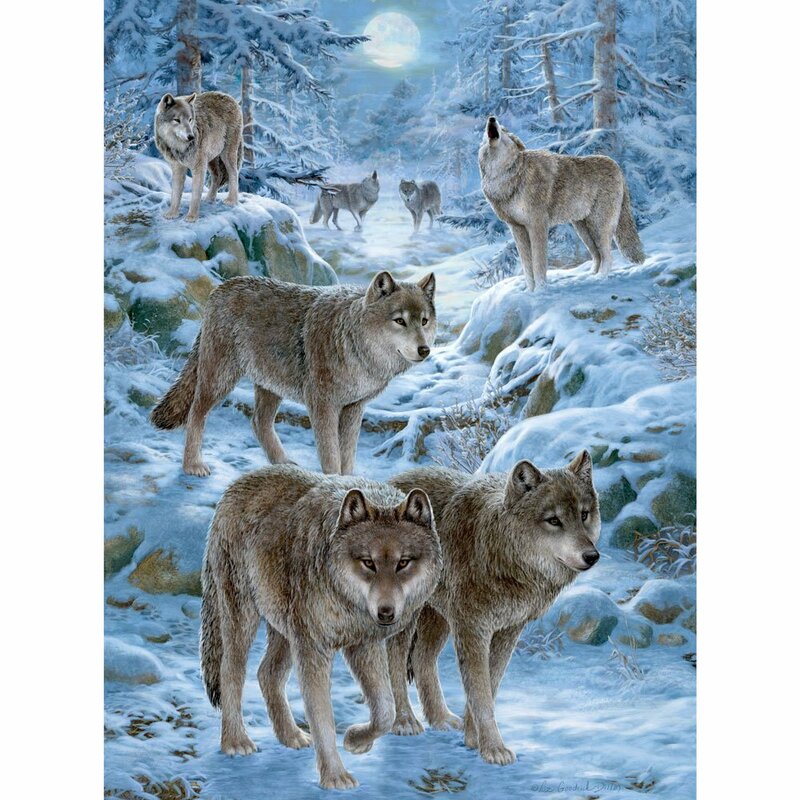 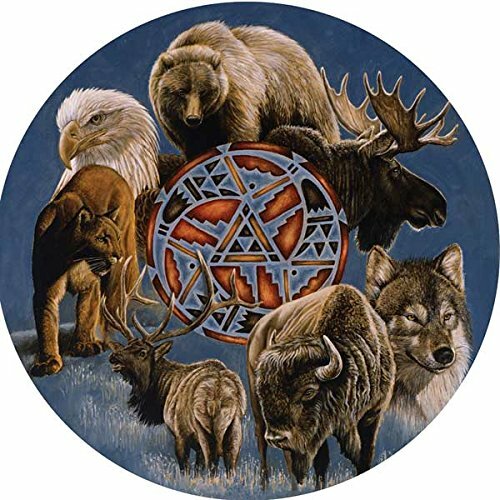 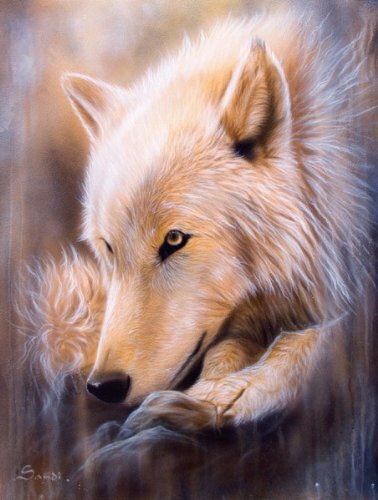 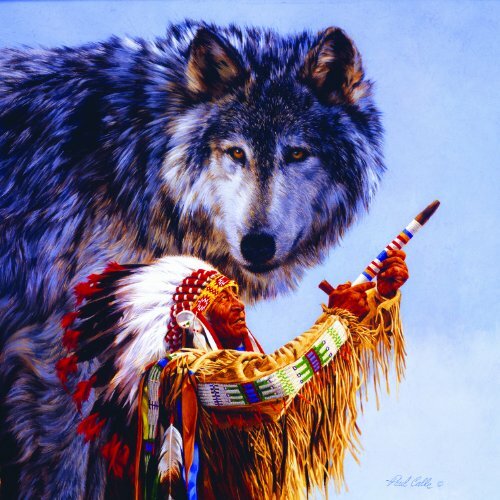 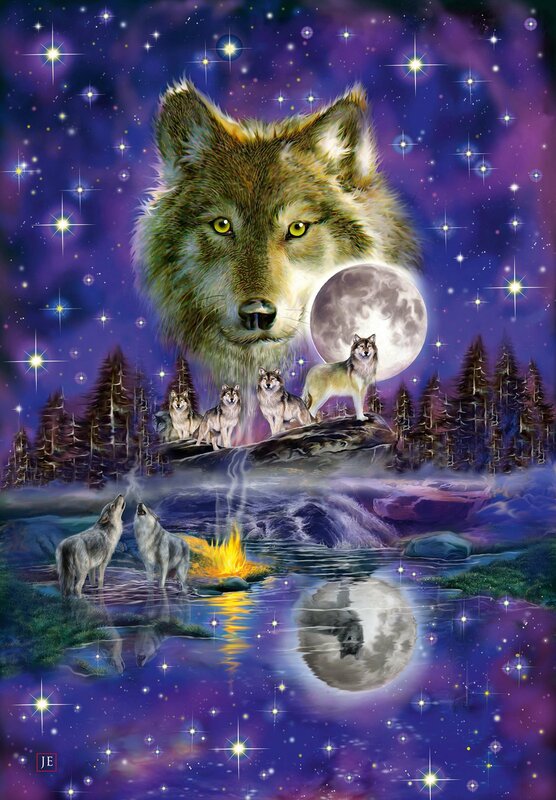 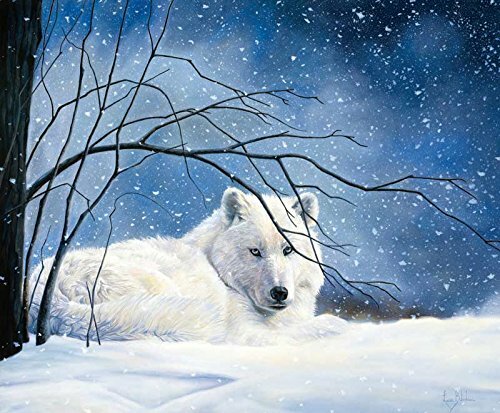 What you find on this page is a large selection of wolf jigsaw puzzles. 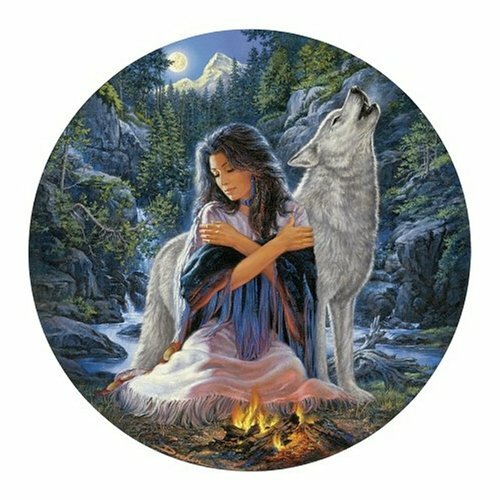 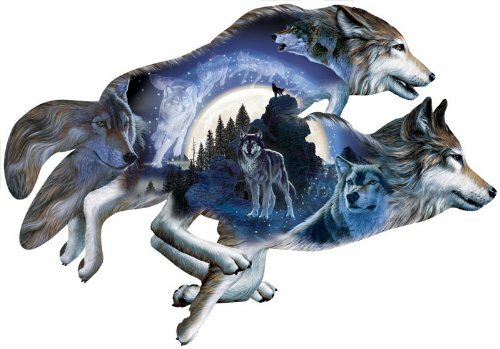 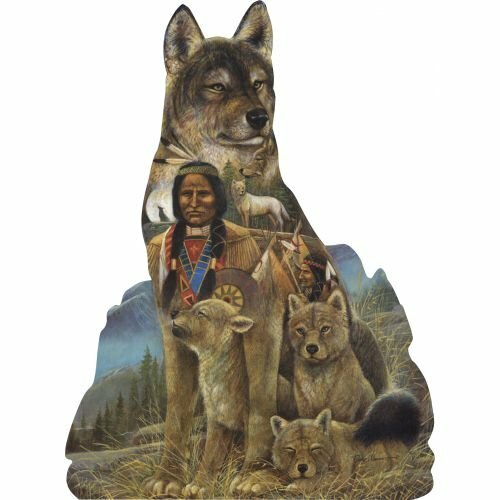 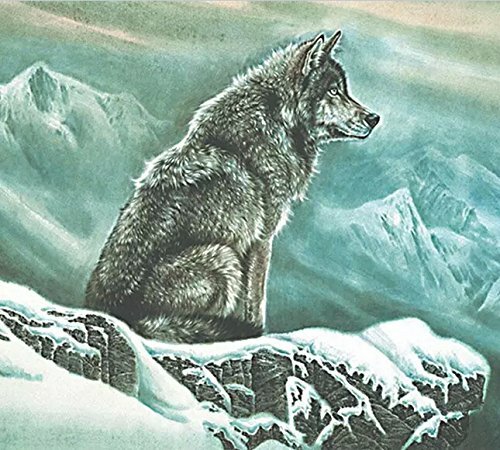 Everything from fine art wolf puzzles to panoramic wolf puzzles, wolf shape jigsaw puzzles and wolf wood jigsaw puzzles. 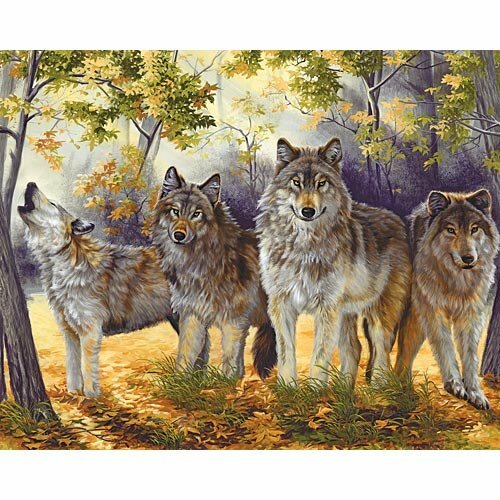 Wolf jigsaw puzzles make fantastic gifts for nature enthusiasts. 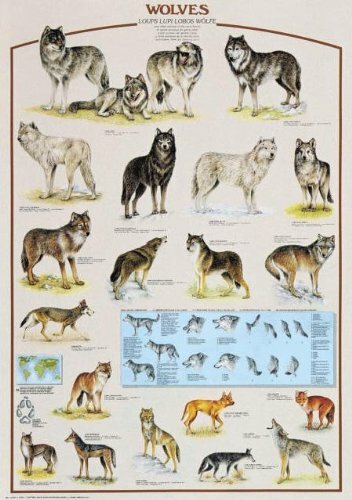 Many of these wolf jigsaw puzzles would look stunning displayed in a frame after it is assembled. 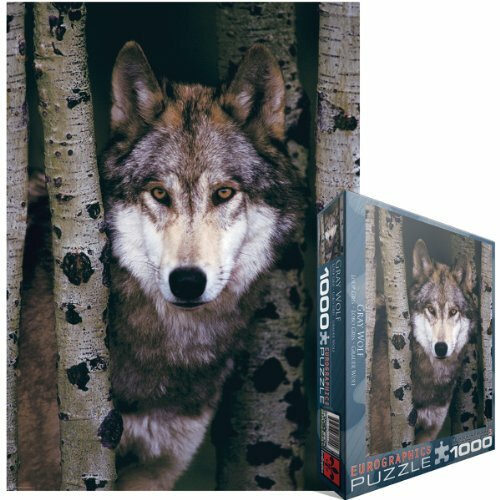 If you are looking for a Wolf Jigsaw Puzzle that is a little more difficult, than this 1500 piece jigsaw puzzle by Sunsout Inc. is just the one to add a challenge to your puzzling fun. 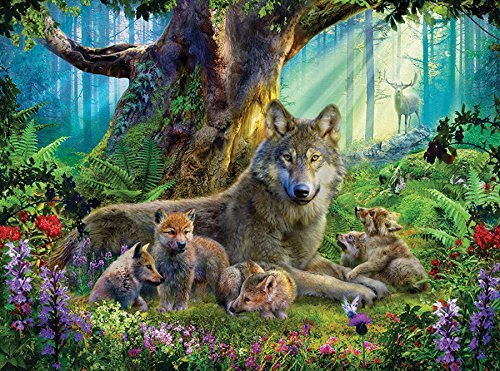 First Spring jigsaw puzzle measures 24 inches by 33 inches and by what customers say it’s a hard puzzle to work on but still loads of enjoyment. 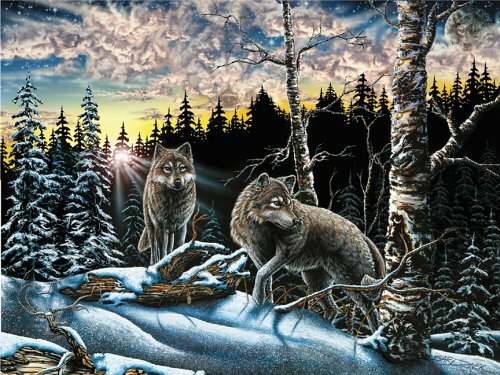 If you are a fan of wolves than this striking, beautiful 500 piece Fire Within Ice jigsaw puzzle by Sunsout Inc. is a little challenging but once completed it is stunning. 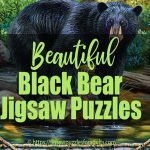 The finished size of this puzzle is 19 inches by 19 inches and would most certainly be a puzzle that you would want to frame once completed. 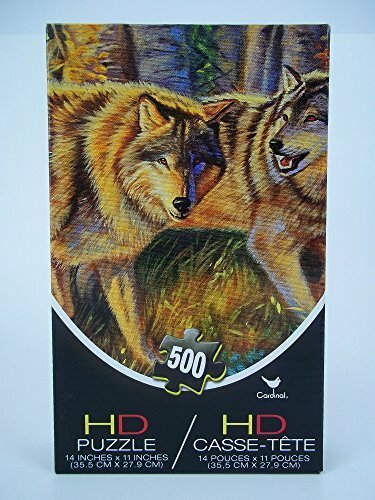 Another absolutely beautiful 500 piece wolf jigsaw puzzle by Sunsout Inc.! 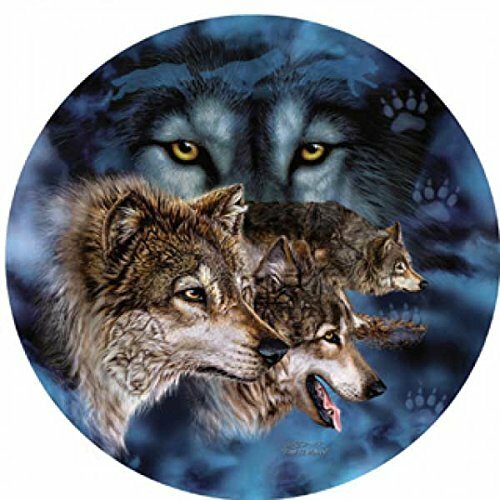 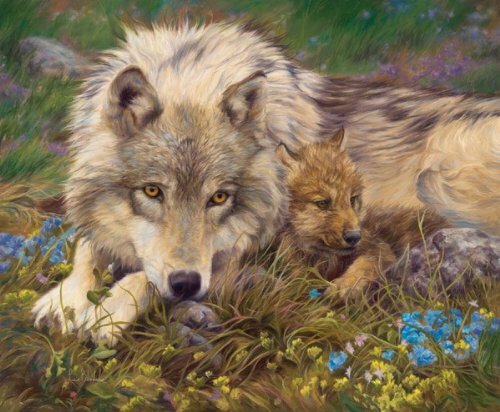 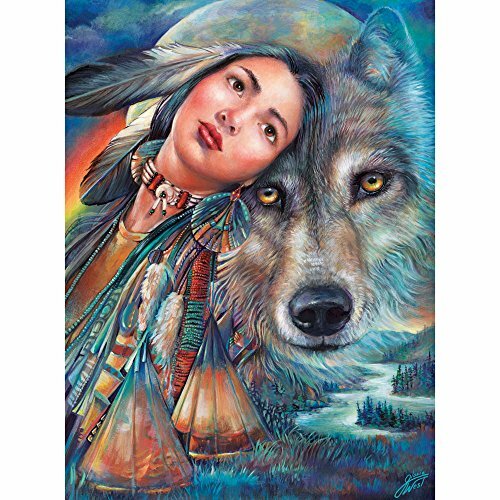 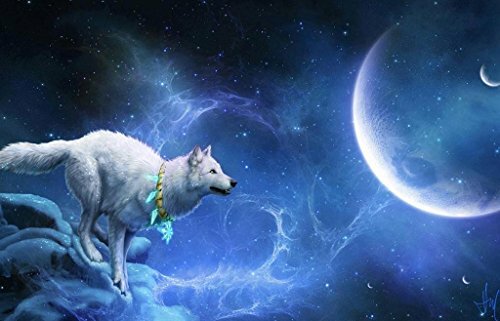 Dreamscape Wolf is an 18 inch by 24 inch jigsaw puzzle by Artist: Sandi Baker! 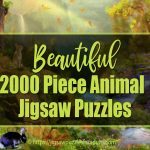 You’ll love working on this puzzle! 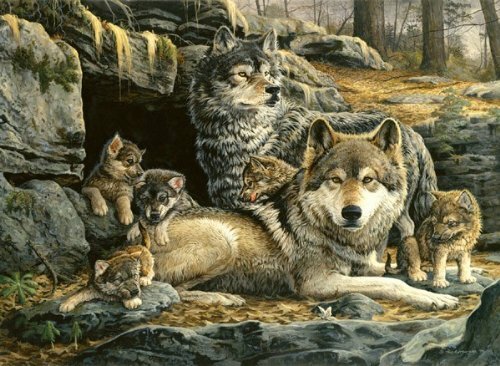 This stunning 1000 piece wolf jigsaw puzzle by Sunsout Inc. is from the wildlife collection of Kevin Daniel’s artwork and measures 20 inches by 27 inches. 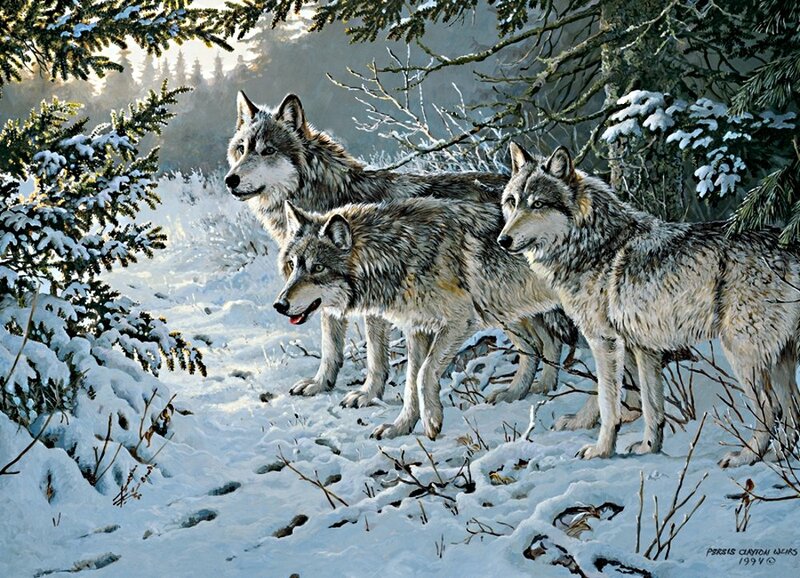 Kevin is well known for depicting nature’s beauty and realism in the wildlife subjects in his paintings. 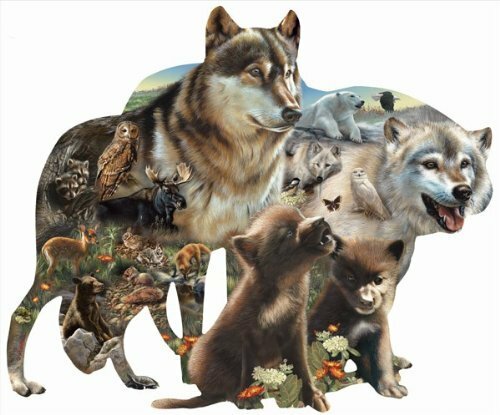 I hope you found a 500 piece wolf jigsaw puzzle that you’d like to try and if not maybe you’ll find something of interest in our 1000 piece wolf jigsaw puzzles below. 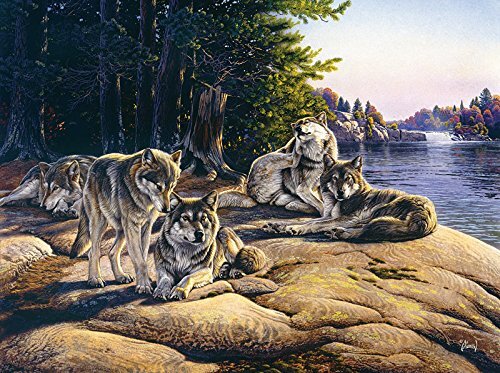 Wolf Trail is a 1000 piece wolf jigsaw puzzle by Cobble Hill Puzzle Company. 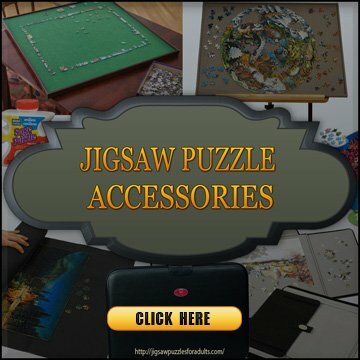 This jigsaw puzzle measures 26.625 inches by 19.25 inches. 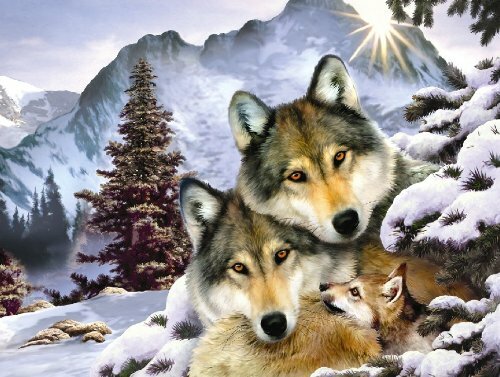 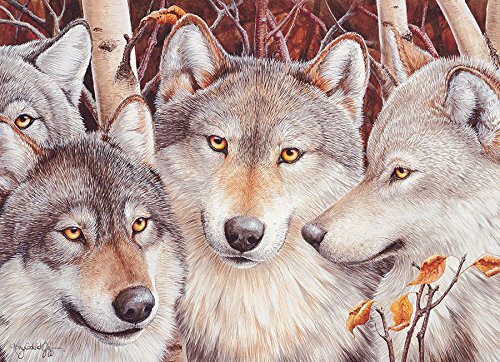 The artist behind this beautiful wolf jigsaw puzzle has done an excellent job of making us wonder what exactly has this trio of wolves got their eyes on. 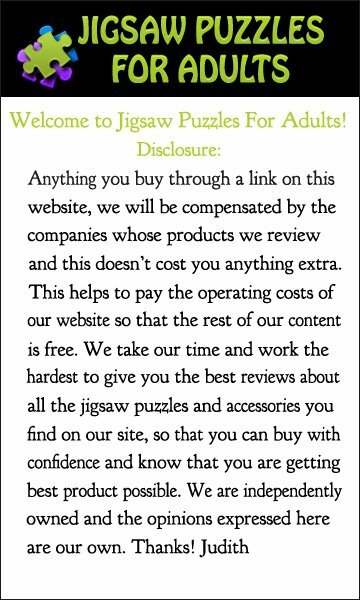 Have you got an idea? 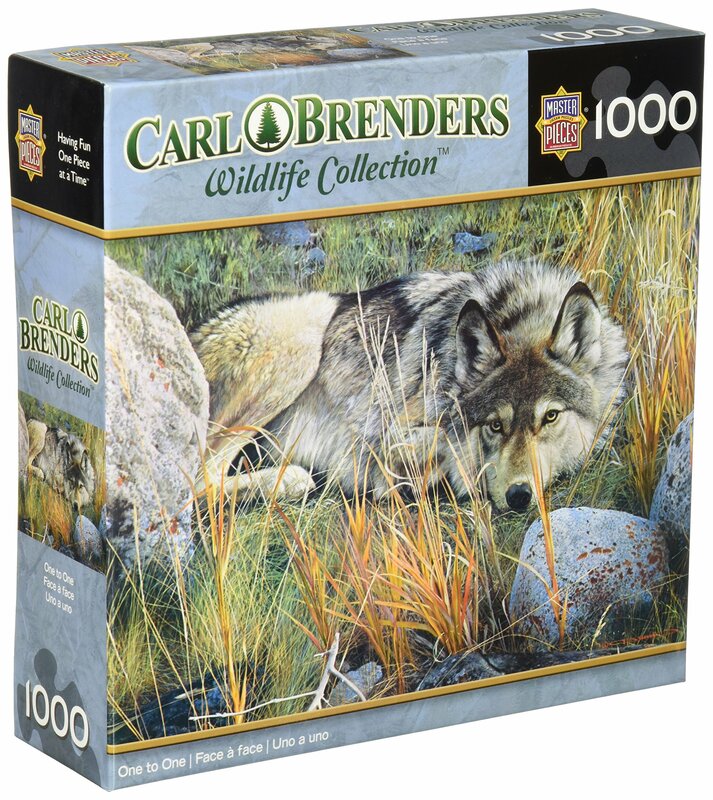 I am crazy about Carl Brenders Wildlife Art and I’m so glad that MasterPieces have brought some of Carl Brenders Wildlife Collection to us as jigsaw puzzles. 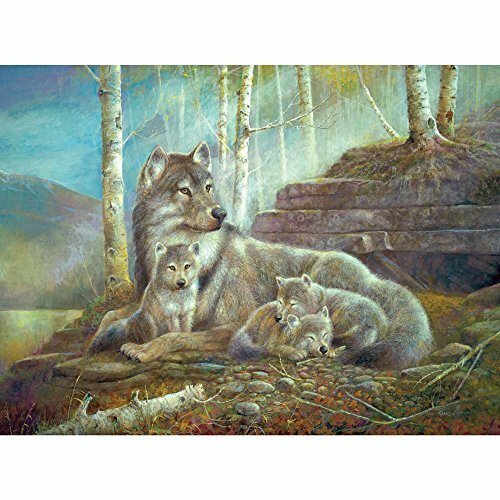 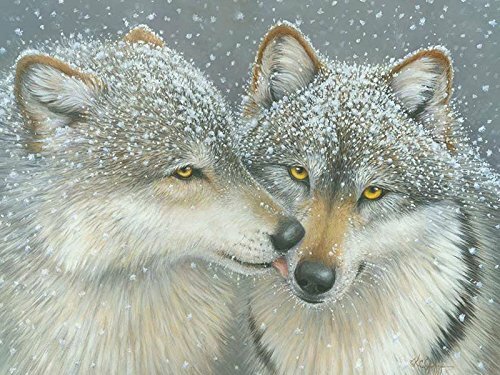 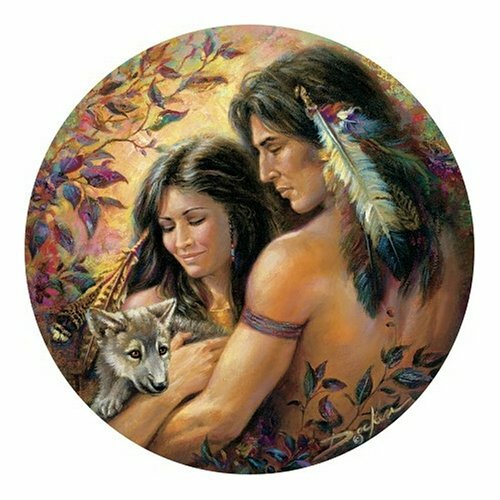 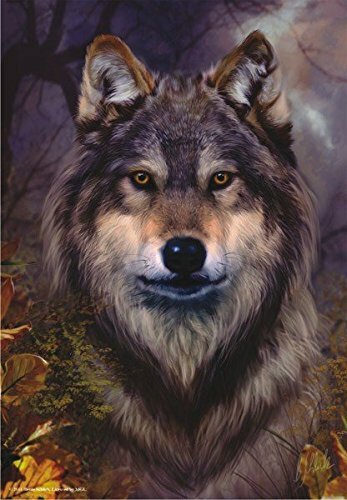 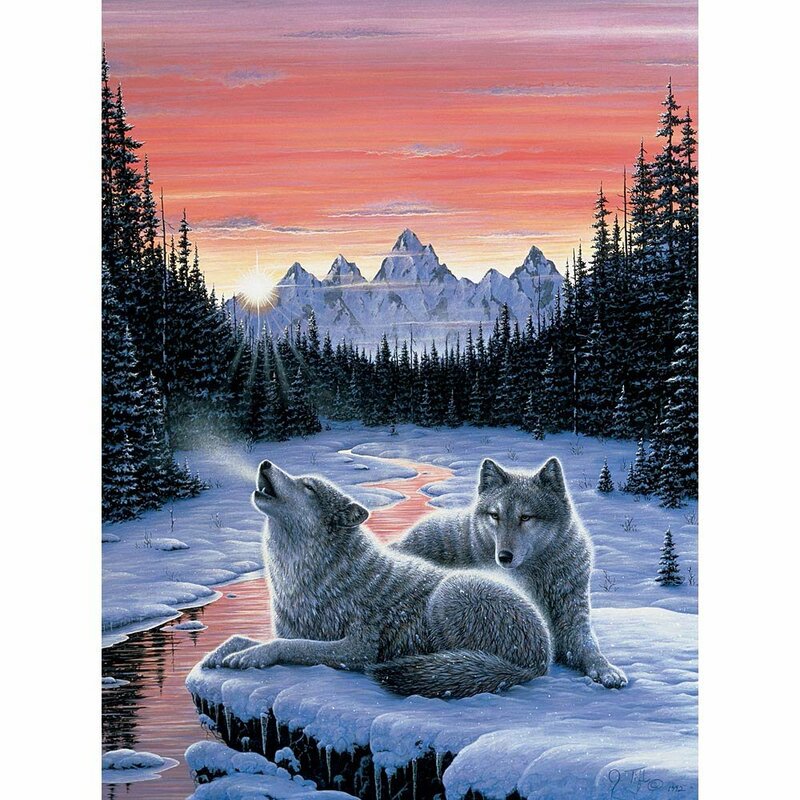 This particular piece of a piece, One to One is a gorgeous wolf jigsaw puzzle that is 19.25 inches by 26.75 inches and is made up of 1000 jigsaw pieces. 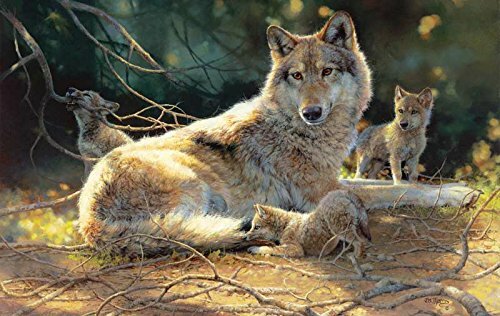 Carl Brenders’ love and admiration for all creatures from ferocious to friendly is quite obvious within his masterful attention to the little details and his anatomical perfection of the wildlife he paints. 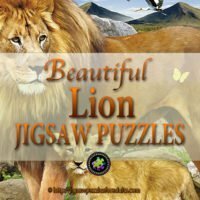 MasterPieces (founded in 1995) is well known for supplying excellent quality jigsaw puzzles that are ideal for the whole family. 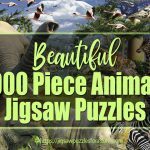 MasterPieces jigsaw puzzles are made of 100% recycled post-consumer content and all jigsaw puzzle sheets and packaging is printed with soy based inks that are earth friendly. 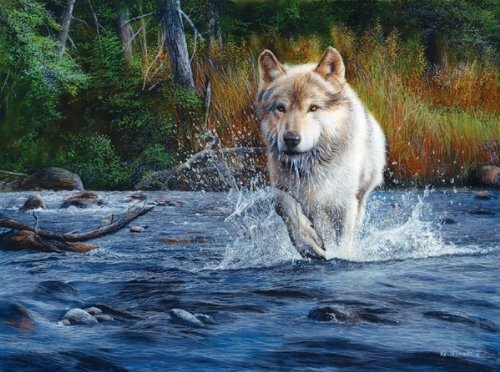 All MasterPieces packaging is protected by 100% water based coating. 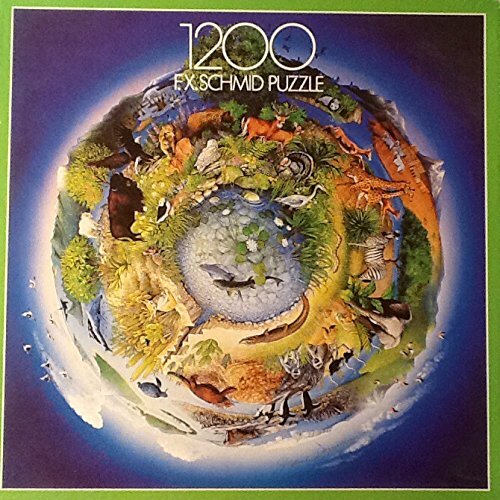 It’s a nice to know that the puzzle you are working on is fun but it’s protecting our environment as well. 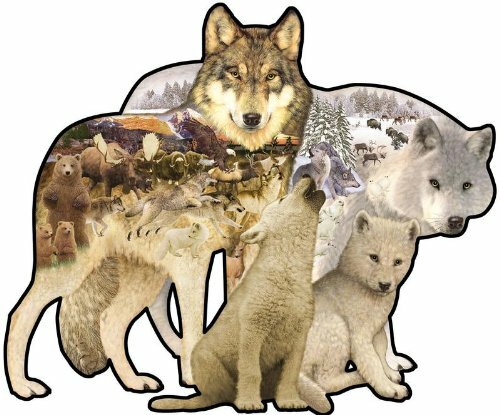 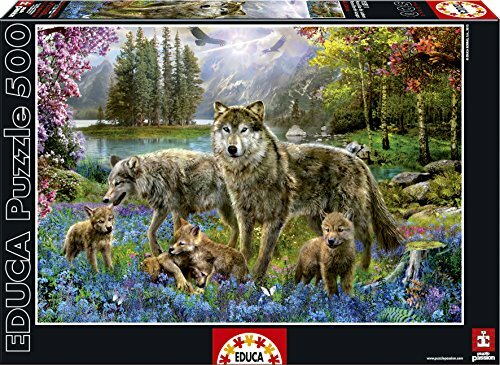 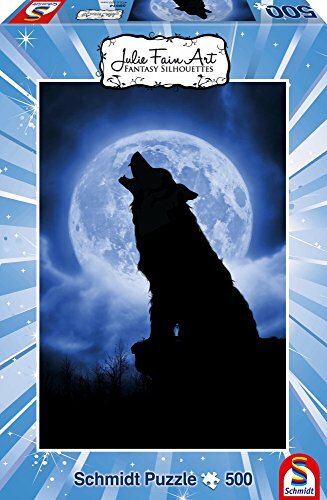 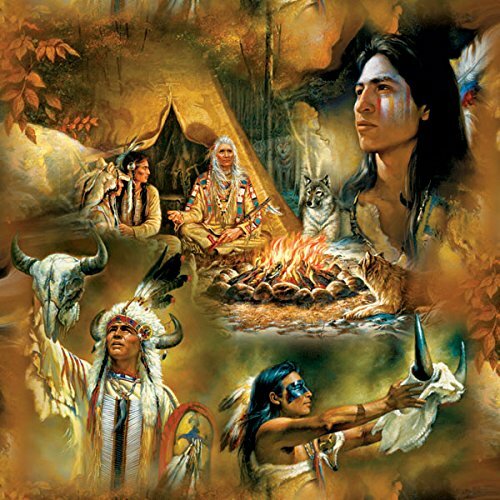 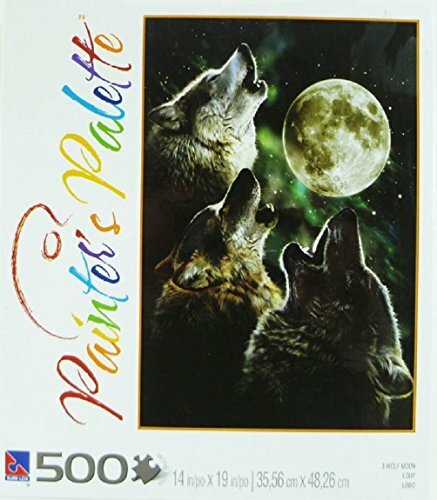 If you are looking for a Wolf Jigsaw Puzzle that is more on the educational side, I just came across this 1000 piece jigsaw puzzle that is made up of larger sized puzzle pieces. 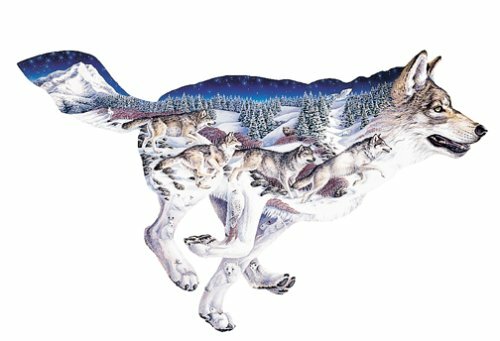 This wolf jigsaw puzzle is made by Ricordi in Italy. 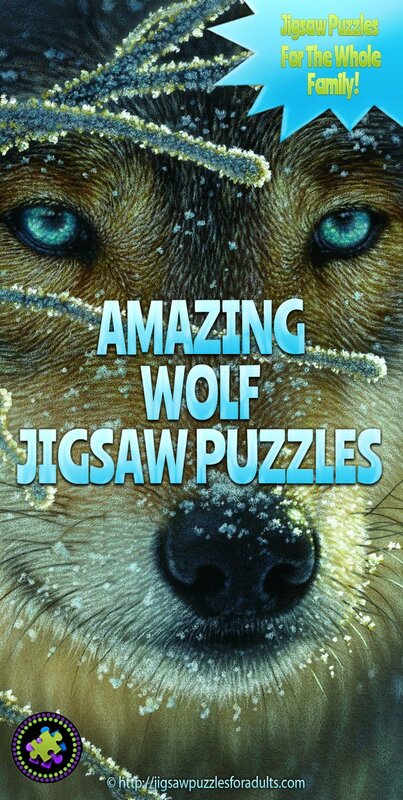 When finished the puzzle measures 27.6 inches by 39.9 inches. 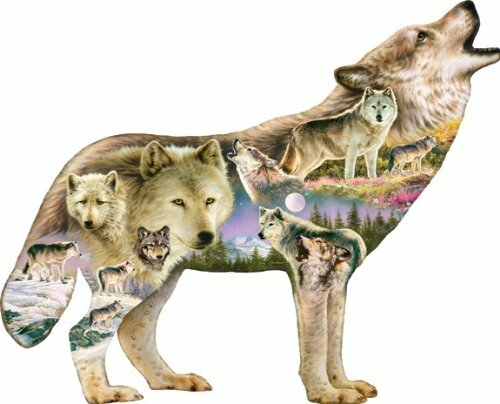 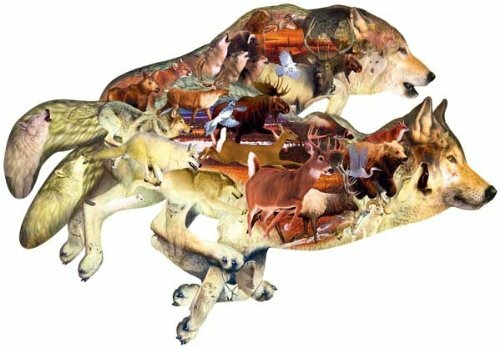 This would be a fun way of learning about wolves whether you’re homeschooling or you’re just an adult interested in learning more about wolves this jigsaw puzzle would be ideal. 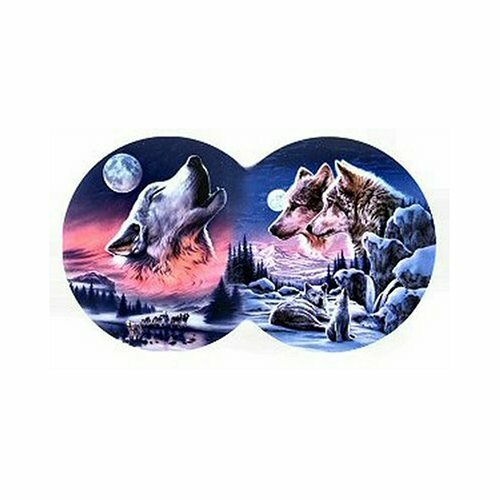 There’s something really unique about working on a round jigsaw puzzle and these round jigsaw puzzles are simply beautiful each is made up of 500 jigsaw puzzle pieces and are made up of some exquisite pieces of artwork. 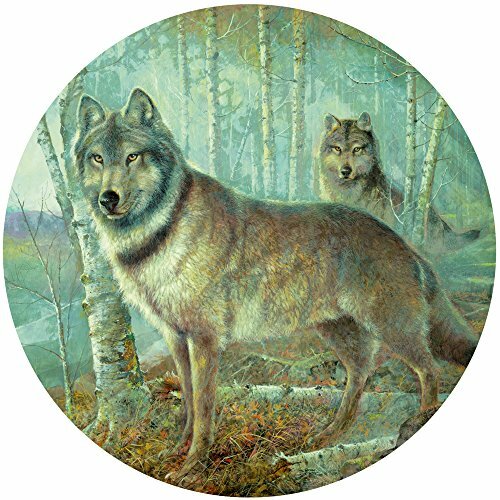 If you’ve never tried doing a round jigsaw puzzle anyone of these round wolf jigsaw puzzles would be ideal to start with. 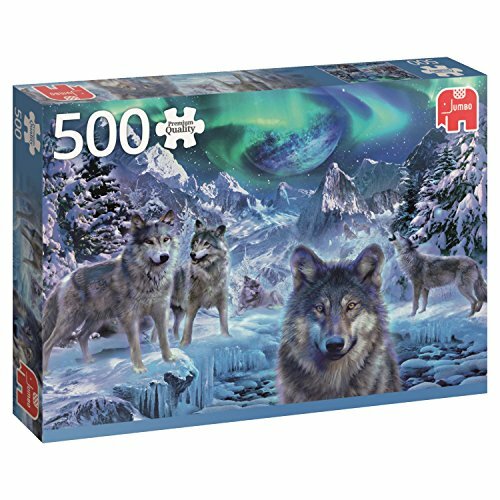 If you are looking a unique challenge, than try one of these wolf shaped jigsaw puzzles. 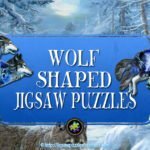 If you’re used to doing rectangular or square jigsaw puzzles you’ll be pleasantly surprised at how much fun these shaped wolf jigsaw puzzles really are. 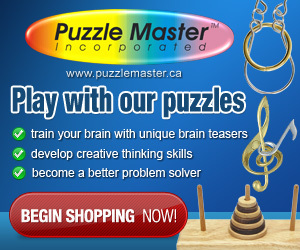 There are no straight edges to these puzzles, so the frame that you might be used to as a guide isn’t there. 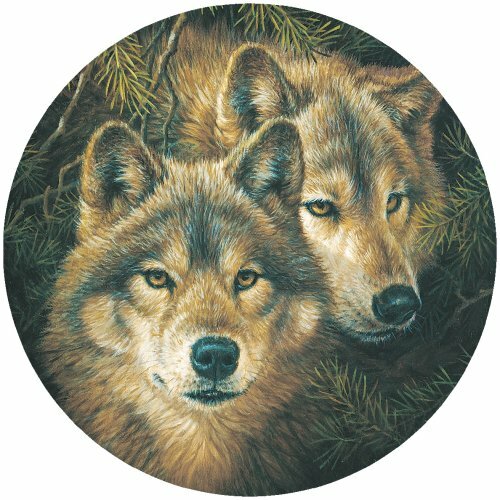 If you are looking for something a little different these are quite beautiful. 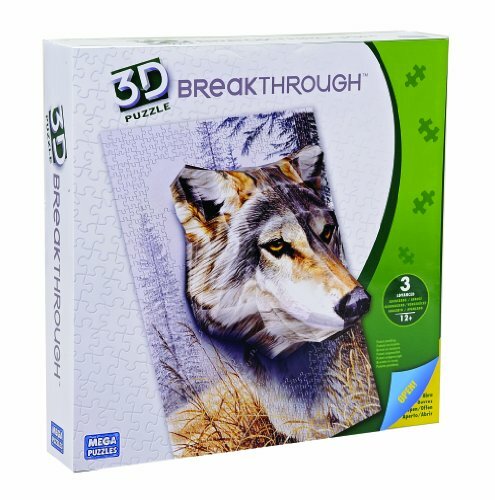 There is even a 3D Breakthrough puzzle that you might enjoy. 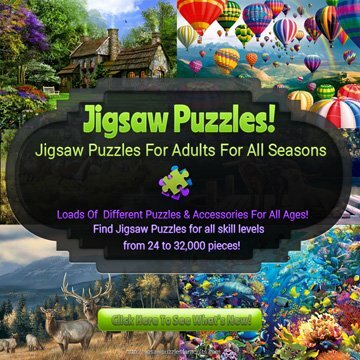 Working on jigsaw puzzles is a fantastic leisure hobby to do by yourself or with friends or family. 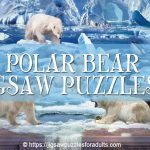 Putting together jigsaw puzzles is an intergenerational activity that strengthens family bonds – what a perfect pastime for family game night. 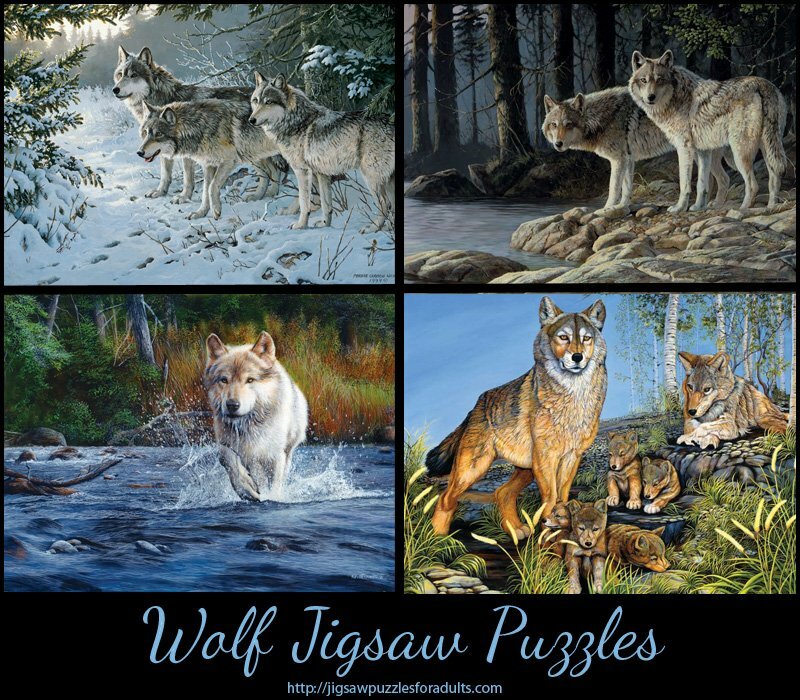 These wolf jigsaw puzzles are ideal for anyone who loves wildlife and nature and fine art! 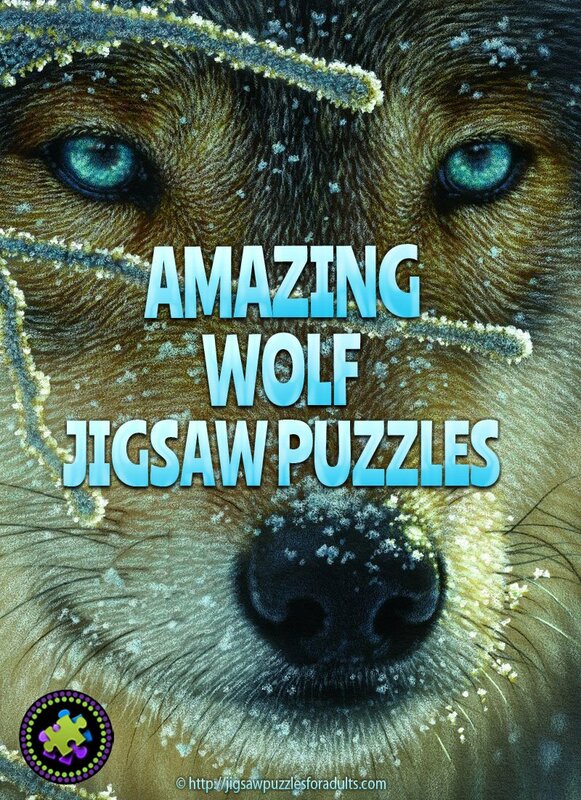 If you have any questions about the wolf jigsaw puzzles on this page please leave them below. 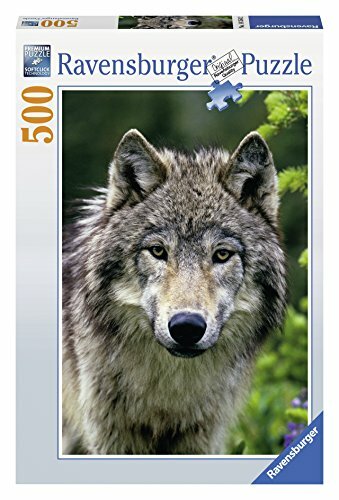 Looking for more wolf and animal puzzles?